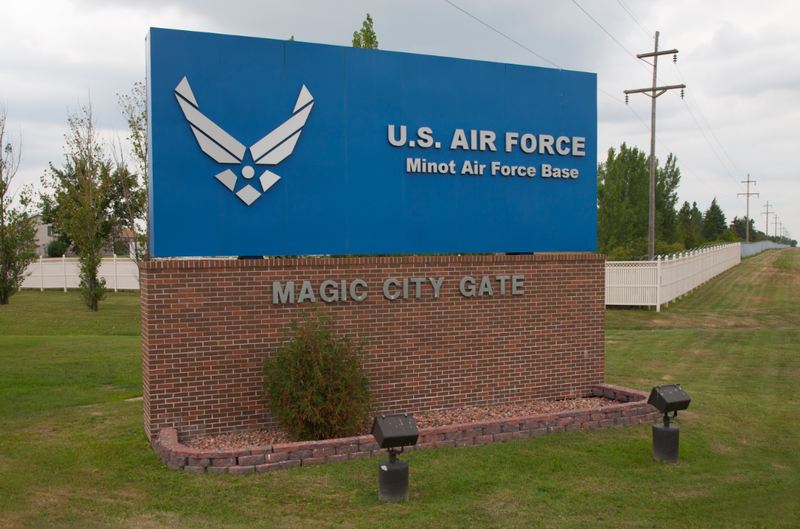 "Only the Best Come North"
We would like to extend a warm welcome to all military personnel and their families who are stationed at Minot Air Force Base. We hope to help you discover the magic of Minot and make the transition to your new base a pleasant one. We encourage you to "Like" our Facebook page to stay up-to-date on all things happening in and around Minot and to connect with others in the community. Also, feel free to stop by 1020 S. Broadway to pick up a Visitors Guide and other local information. To show appreciation for military members and their families, many local businesses offer military discounts. Present your valid, active Military ID to enjoy the listed discounts and special offers from your favorite retailers and restaurants. Little Blue Elephant 7.5% off if the total bill is over $20. Budget Truck Rental Use promotion code USMILPER to save 15% with valid Military or Dependent ID. United Airlines Five bags allowed for free all active duty personnel and reserve personnel traveling on orders. Military fares on flights. Military ID required. North Dakota State Fair Each year, there is a Military Appreciation Day at the fair. Norsk Høstfest This year, Military Appreciation Day is Saturday, September 29, 2018. Free Admission for you and your spouse/kids with an active-duty military ID. $20 off Saturday concert tickets! Limit of 2 concert tickets per purchase. To claim promotion, please call (701) 852-2368 or stop by the box office with your active military ID. Roosevelt Park Zoo Each year, there is a Military Appreciation Day at the zoo. Y's Men's Rodeo Military Appreciation Day and 1/2 price tickets are available for active or retired military members. Check back for the date. For official news and events from Minot Air Force Base, visit their website here.